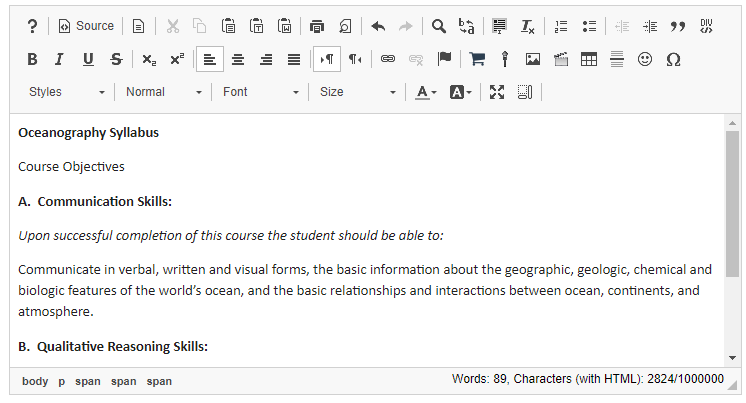 Sakai Guides and DocumentationSakai Complete User Guide Rich Text EditorHow do I paste text from a Microsoft Word document to a text box? 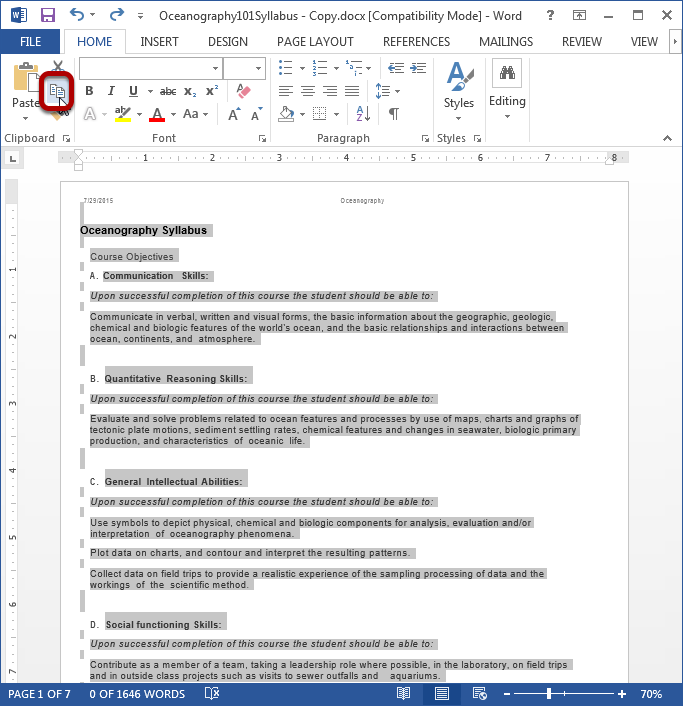 Copy the text in your MS Word document to your computer's clipboard (CTRL-C for PC or COMMAND-C for MAC). You must paste your text using the keyboard shortcuts (CTRL-V for PC or COMMAND-V for MAC). View Word content in the editor. The pasted content will now appear in the Rich Text Editor and you may edit it there to display the desired formatting. Prev: How do I add a content template to a text box? Next: How do I embed an mp4 video in a text box?